Suspected leaks of Renault SA electric-car secrets may have compromised Japanese affiliate Nissan Motor Co.'s battery blueprints, as well as designs by LG Chem Ltd. and Better Place, two people with knowledge of the matter said. Three executives accused by the French carmaker of knowingly passing on strategic data had access to designs for Nissan and LG power packs and battery-management systems supplied by California-based Better Place, the people said. They asked not to be identified because the investigation is ongoing. 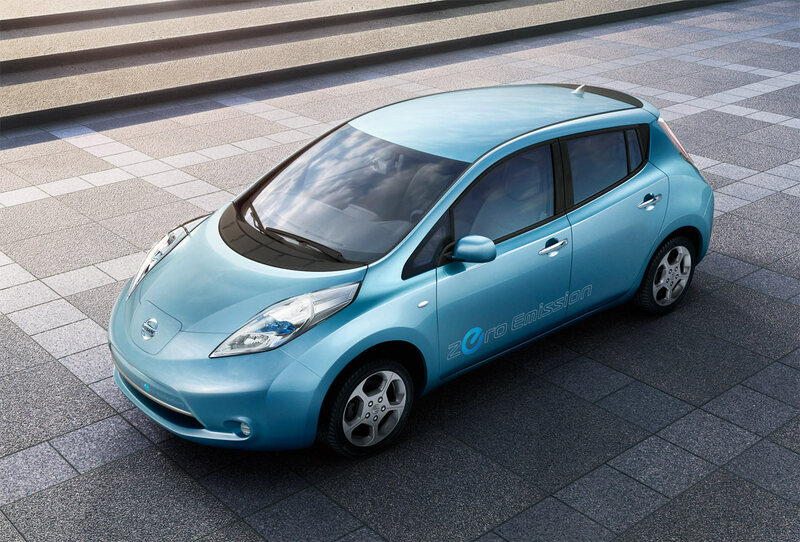 Nissan, which developed batteries in a venture with NEC Corp. for its Leaf electric car and models planned by its French partner, is waiting for more information from Renault on the likely exposure of its intellectual property, one of the people said. Better Place, the California-based company founded by former SAP AG executive Shai Agassi, is in partnership with Renault to build and operate electric-car charging networks and battery-exchanging stations in Denmark and Israel. South Korea- based LG has a contract to supply batteries to the French carmaker to meet demand in excess of the Renault-Nissan alliance's manufacturing capacity. It is not clear whether any of the Renault partners' designs were actually leaked, the people said. Gregory Neve, a Nissan spokesman based in France, declined to comment, as did Julie Mullins, a spokeswoman for Better Place. David Reuter, spokesman for Nissan North America, said the investigation is taking place solely in France, between Renault and French police, and that U.S. officials have no information about the matter. "The investigation does not involve any Nissan employees," Reuter said. "We're fully satisfied that our alliance partner Renault has the situation under control." Calls to Seoul-based LG Chem, a unit of LG Group, went unanswered after office hours. Renault spokeswoman Caroline De Gezelle declined to comment. Michel Balthazard, a Renault vice president in charge of long-term product development, is the highest-ranking of the three managers now awaiting a decision on permanent sanctions, two people with knowledge of the matter said Jan. 5. One of the other two suspended Renault executives, Matthieu Tenenbaum, previously worked at Nissan before overseeing the Better Place partnership and development of four battery-powered cars as deputy head of Renault's electric-vehicle program. In a statement released Friday by his lawyer, Thibault de Montbrial, Tenenbaum said he was “stunned” by his suspension and did not understand the company's accusations against him."